Too busy to train your dog? We can help! This comprehensive, 6-week board-and-train program teaches your dog all the basics and goes far beyond what is being offered by pet shops. This is an investment in dog ownership, which will pay off for the rest of your life. Your dog will learn good manners including—but not limited to—not jumping up at people, walking on a loose leash and paying attention to its family and not other dogs or distractions—full list below. Waiting list in Effect! Contact us to reserve your spot! Your dog will stay in the home of one of our experiened trainers and not be stored in a kennel. Your dog will be part of our family during training and get lots of personal attention. We work in motivational, gentle ways and come to your home at the end to show you what your dog has learned and help with transitioning your pup successfully from us to you. This program teaches your dog new skills and is only available to dogs without behavioral issues. If your dog has behavioral issues like fear or aggression, we can help you resolve those as well, but that will have to be done separately first. Resolving such issues has nothing to do with obedience training and requires behavioral conditioning. Add-On: Do you also want to enjoy a well-behaved dog you can confidently take to coffee shops, restaurants or parks? Good public manners can be added to this program and will extend the training time by two weeks. Add-On: Potty training can be included into this package without extending the timeline. Imagine your dog walking next to you on a loose leash and staying by your side in crowds. You'll receive regular picture updates during training and we'll set up a personal YouTube playlist with training videos of your dog. Those videos will remain online after training for you to view, download or share with anyone you like. A great memory! The first part of the training time is spent on foundational training. Too many programs fail to lay a solid foundation and as a result, the dogs don't learn reliable behaviors. If you have to hold a treat in your hand for your dog to actually sit down, it's obvious that the training fell short. Foundational training means we teach your dog a marker system that allows you to better communicate with your dog in daily life and make sense to your companion. Too often we and our dog are talking past each other. We will change that. Regardless of context you will be able to let your dog know when he does well and should keep doing it, did well but can do something else now, did something that is never okay, is doing something that is generally okay but has taken it too far or is going about something the wrong way and should try it a different way. Your dog also learns to understand the collar and leash as an informational tool and not as a frustrating restraint device. Learning these basics first improves your relationship as it allows you to provide clarity to your dog and that will be appreciated by your companion. Respecting you and your family just as much as it already loves you. Rules and behaviors that keep it out of trouble. Paying attention to you and following your commands. Command behaviors: sit, down, stay, come, watch me and leave it. Walking on a loose leash next to you without pulling. Ignoring dogs and other distractions. Stopping and sitting when you stop. Sitting and politely waiting at the door when people come over. INCLUDED: training leash and a copy of Ralf's behavioral book "If Your Dog Could Talk". 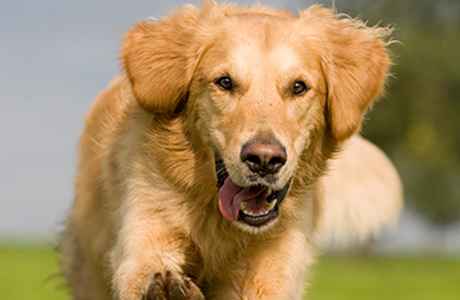 You will receive free lifetime support for the dog the program was purchased for.